Board index ‹ Story Central ‹ Challenge/Legacy Rules! Have a new challenge? A twist on the legacy? Post it here! If you find a challenge someone else created, feel free to post it. Make sure to include a link back to the original creator giving them credit. February 17, 2017: Twilightoutside, Katri and Lorinsv are ON IT! February 26, 2017: List updated to the best of our capabilities. Please let us know if there are any other challenges that need updating. Update by Radiochocolate, December 6th: This list hasn't been forgotten. The process of tracking down challenges is underway, and the new list will be posted when completed. Please, have patience! If you are looking for a challenge or a twist on a legacy, look no further as here are links to many different challenges to keep you busy for a long, long time. If there is a challenge missing, or if you create a challenge, or if there is a broken link, please let me know. NEW! We have master lists stickied at the top of each game version's challenge subforum to make it easier to find one to play in your game of choice , so here, have a challenge! Last edited by Lorinsv on March 7th, 2017, 4:38 pm, edited 36 times in total. The old forum is officially down now Google may still have some of the pages cached, though. ok so we need to get this list updated with new links, and the dead links removed. There are still dead links that go back to Boolprop 2.0 that need to be fixed. Last edited by Teresa on February 16th, 2017, 6:31 pm, edited 1 time in total. Reason: The list has been updated with this link - Thanks! I am adding this to the list of things to update. Each link needs to be checked and then the google searched to see where the original rules exist in order to relink - if the challenge is not already posted on Boolprop. Since most of these are not posted here, the process is lengthy. Also if anyone wants to take responsibility for updating the list in the meantime, send me a PM and I will change ownership of the thread to you. I volunteered to work on updating these. Everyone is welcome to help! Thanks for doing this Lorin, a more up to date list is definitely a good thing! That's pretty unorganized but I hope it helps a little bit. I won't be able to start in earnest until later tonight. Lorin - Thanks again for taking on this challenge - and thanks to everyone else that is helping. It will be great to have it updated once again. katrisims wrote: Thanks for doing this Lorin, a more up to date list is definitely a good thing! Feb 17: - Identify/Gray-out challenges with dead links done through "B"
Feb 18: - U-Z got good links to all but one challenge (excellent work, Twilightoutside!!) PM'd active boolprop members with challenges listed here. Feb 20: - G-P updated (thank you for re-posting the archived challenges, Katri, that saved so much time! ). Searches have been completed by Twilightoutside . All known authors have been messaged. Will update list for D-F after we re-post those archived challenges. I thought this project would take a few weeks, not days. Feb 21: Katri finished posting the archived challenges found by Twilightoutside. Twlight found more archives in the Way, Wayback Machine, all the way back to the original Boolprop FightTheAddiction false 10+ years ago! Feb 22: Posted more archived challenges from the original BFTAF, and caught up the list. Still waiting for replies on some of the PMs I sent. Feb 24: Finished posting all the archived challenges we have, now it's down to updating as they come in. Last edited by Lorinsv on February 24th, 2017, 9:54 pm, edited 1 time in total. A quick question - since yall are doing such a wonderful job getting everything updated - do you think we separate the challenges into sub-forums - TS2, TS3, TS4 - based upon which game the rule set was written? The master list will be linking to each challenge so would remain at the top level of the forum and make a good index? Personally, I would prefer that they be separated into sub-forums, since I only play TS2. The primary reason being, I never thought to use the master list. I would scroll through the challenges (technically"topics") but got bogged down with the versions being scattered amongst each other. 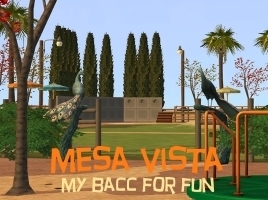 That said, I know there are players who like to play more than one Sims version, so perhaps if the master list indicates TS2, TS3 or TS4 for each challenge in the list, that would work better for them. Another idea is to have three separate posts downthread within the Definitive Challenges List topic, with the list of challenges for each version, along with links to those three posts in the OP, as well as a link back to the OP in each one, so players can access the list format that most suits their preferences and search habits. Or to make the separation more visible, a separate topic for each version (stickied) with links to the master and vice-versa, inside "Challenges/Boolprop Legacies!". Lorinsv wrote: Personally, I would prefer that they be separated into sub-forums, since I only play TS2. The primary reason being, I never thought to use the master list. I would scroll through the challenges (technically"topics") but got bogged down with the versions being scattered amongst each other. I like both ideas - the separate sub-forums and the separate topics with the links to the master. 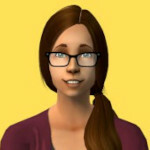 I only play Sims 4 these days so would like an easy way to see which challenges have been converted/created for it, myself. I definitely think the master list should indicate which game the rules are for - but would like to do something that separates each game. I like both ideas as well, things would feel more organized. I also like the idea of having an additional list for each game. I do wonder if maintaining all the lists might be laborious? I don't suppose they would need to be updated hugely often, though. Now it can be sort of confusing with different versions, as not all challenges even mention directly in the rules which game they were written for. I sometimes find myself browsing for a challenge, then only noticing "oh, wrong game", when the rules suddenly talk about a feature that doesn't exist in my game. I suppose nobody anticipated a situation in which this many games are played simultaneously and these things need to be specified. So my preference would be separate forums with a master list in the main section. I think that would be better than trying to maintain a master list and then duplicating the work with three game specific threads. Any general type challenges that are not specific to a game could remain in main section? Added Trailer Park, Messie Messlot and Radiochocolate's Pizza, pizza everywhere challenges to the list! I added the three sub-forums. Let's see if that works (if not, we can change). I labeled them as Rulesets so to distinguish them from stories. If you think they should be called something else, let me know. So the rulesets are all filled up - looking good! Question - is there a way to move the challenges list to the top of the rulesets - I'd prefer it to see it there instead of scrolling to the bottom? And of course - should the list now be divided too by games? Thanks to all of you for taking on the challenge (!) and getting this completed so quickly! Everything looks great. I added the link to the master challenge list to the red rules at the top of the forum. Let me know how that works. As for dividing it out by game - let's see how this works all combined for now. If it makes sense to divide it out, we can definitely do that.